FRED’S BEDS SAVES YOU MONEY!! Our queen mattress inventory changes with every truckload of deeply discounted mattresses. This site lists a close approximation to what is currently in stock but please call for availability; beds move fast! All mattresses are sold as floor models; you can buy it and take it home today! Delivery is also available. Price listed is for mattress/box spring set. Due to manufacturers’ requirements for mattresses sold outside normal retail chains and below minimum sales price, our mattresses are sold “AS- IS” and without the manufacturers’ respective warranty. We invite you to visit Fred’s Beds to see and feel the quality of our mattresses for yourself! Fred’s Beds is family owned & operated, not part of a chain or franchise. You will notice the difference when you shop at Fred’s Beds! Fred’s Beds has provided great mattress deals to North Georgia since 2002, when we opened our original location in the Old Matt Schoolhouse. 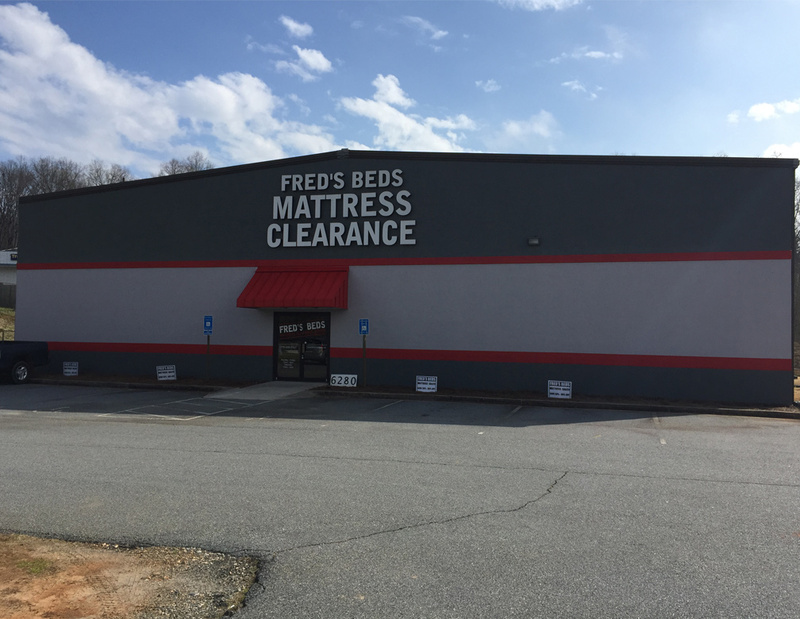 In September 2012, the Fred’s Beds Mattress Clearance Center opened on GA 400, 2 miles south of the Georgia Premium Outlet Malls.